Like nearly all Southern Chinese martial arts, Pak Mei Kung Fu traces its beginnings back to the Shaolin Temple. From the Indian monk Da Mo (達摩; Daat Mo in Cantonese) who was deemed the creator of the Yi Jin Jing (易筋經; Yi Gan Ging) - The Muscle/Tendon Changing Classic, and the Xi Sui Jing (洗髓經; Sai Seui Ging) - The Washing of the Marrow Classic, to the 13 Shaolin who monks assisted Li Shi Min (李世民; Lei Sai Man) with their superior staff skills to secure his position as the second emperor of the Tang Dynasty (唐朝; 618 - 907 CE), the Shaolin martial tradition has been legendary. Hence, any association with the Shaolin Temple alluded to superior martial skills. The oral tradition places the origins of Pak Mei Kung Fu within the period of the Qing Dynasty (清朝; Ching Chiu: 1644-1911 CE). Referring to the individuals and events found in the work Maan Nin Ching (萬年青) - Everlasting Green or 10,000 Years Green, rebels and revolutionaries found inspiration in the form of The Shaolin Five Elders (五祖; Ng Jou): Ng Mui (五梅) - a Buddhist nun, Pak Mei (白眉) - a Taoist, Fung Dou Dak (馮道德) - a Taoist, Ji Sin (至善) - a Buddhist monk, and Miu Hin (苗顯) - a Buddhist layman. These five figures provided the martial mythos upon which the peasantry and marginalized members of society could relate, granting them a sense of ancestral empowerment and the pride to carry out a particular purpose. As a result, many streams of martial arts have traced their lineages to the legends of these respective Five Elders. Before Cheung Lai Chuen, the martial material from which Pak Mei mou seut was derived was known as Ngo Mei Siu Lam (峨眉少林; Emei Shaolin in Mandarin), or Mount Emei Shaolin methods. The fusion of these two famous martial lineages joined together the internal emphasis of Ngo Mei and external expression of Shaolin. During this foundational phase of the style, the individual's intrinsic structures were trained to acquire the essence of an impervious armor called gam jung hei gung (金鐘氣功), or golden bell breath skill, and to support the integrated execution of force, or ging (勁). As a result, a comprehensive combative creation that simultaneously supported defensive postures and facilitated offensive maneuvers was devised. This particular fighting formula was preserved within the tight-knit communities of the Hakka population (客家) - ethnic Chinese who had relocated from China's central regions to the southern provinces to flee from famine and ethnic cleansing over multiple mass migrations throughout the past millennium. Between the numerous Hakka kinships, subtle differences in origin, interpretation, and execution distinguished their fighting methods from one another. However, the concept of bridging - mo kiuh (摩橋), and the use of integrated force - ging (勁), within close range combat are the fundamental features that define Hakka fighting techniques. Within the East River region known as Dunggong (東江) in Guangdong Province, China, Pak Mei Kung Fu was formally devised and organized by great master Cheung Lai Chuen at the turn of the 20th Century. Pak Mei Paai (白眉派) is a system of Chinese martial arts that was officially formulated by Master Cheung Lai Chuen (宗師張禮泉). While estimated dates of his birth have ranged between the years 1880 - 1884, according to the official account from his son Cheung Bing Lam (張炳霖), Cheung Lai Chuen was born in 1889. Within the district of Waiyeung (惠陽), Cheung Lai Chuen began learning the martial methods of the Wanderer's Sect, or Lau Man Ga (流民家), in his youth under the tutelage of the local bonesetter and martial teacher Lam Sek (林石). 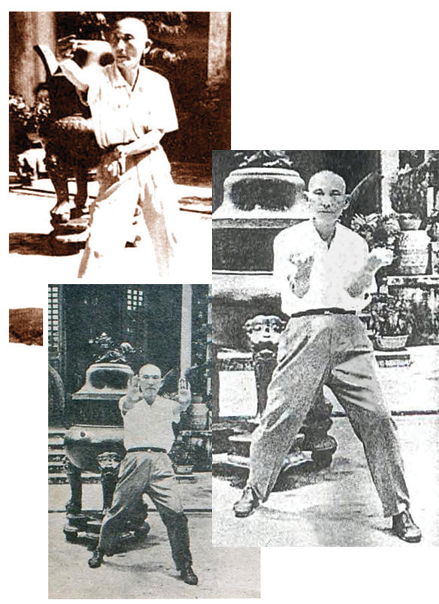 Cheung's second instructor was Lei Mung (李曚) of Lei Yi's lineage (李義) from whom he learned an array of mid-ranged and close quarter unarmed methods and weapons native to Lei Ga (李; more commonly known as the Li, or Lee, Family System). The young prodigy was then trained in Lung Ying Kyun (龍形拳) by master Lam Yun (林元) - who was the father of famed Dragon Style founder Lam Yiu Gwai (林耀桂), and Lam Ah Hap (林亞俠). These combative arts that were taught to Cheung Lai Chuen during this stage in his life can be collectively described as Hakka Kyun (東江客家拳) of the Donggung region as opposed to the Hung Mun (洪門) family methods of Guangdong Province which typically refer to the Hung (洪), Choy (蔡), Lau (劉), Lei (李), and Mok (莫) styles of martial arts. The distinct physical principles and fighting theories of each group's methods distinguished the two classifications from each other. Following his move to Guangzhou, the established history is that Cheung Lai Chuen encountered a monk named Lin Sang (蓮生) who managed to effortlessly defeat him in a test of martial skill. In the aftermath, Cheung discovered that Lin Sang's master, Juk Faat Wan (竹法雲禪師), was alive and proceeded to pursue instruction from the elder monk. At the time, Juk Faat Wan was allegedly 92 years old and the martial material that he practiced was called Ngo Mei Siu Lam. Cheung managed to persuade the senior monk to accept him as a disciple and studied the art within the walls of the Gwong Haau Ji (光孝寺), also known as the Brilliantly Filial Temple, for a period of approximately three years. 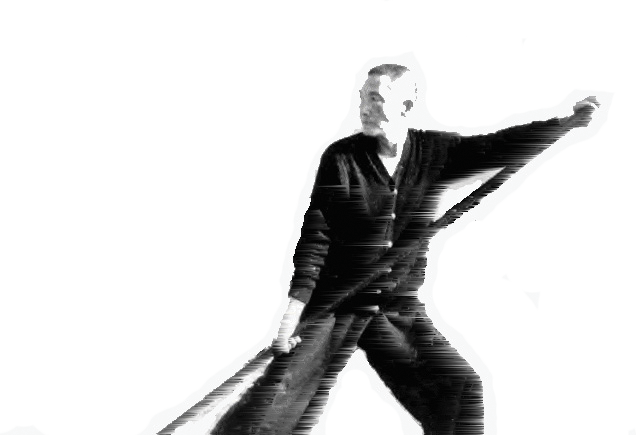 During that time, he acquired a mastery of Ngo Mei Siu Lam, revised the principles and understandings of his three former martial styles, and was introduced to daan chi (彈矢) - projectile defense techniques, and bik fu gung (壁虎功) - wall-scaling skills. The transition from secluded learning to secular realities was rather shocking for the young master when he emerged from the temple: the Republic of China had been established with the removal of the Manchurians from dynastic reign; the queue - a braid of hair worn by Chinese males imposed by Manchurian rule, was no longer worn; and, the general atmosphere was one of uncertainty and instability. After subduing a formidable smuggler within the government agency that oversaw salt distribution within Gongmun Township (江門), Cheung's reputation as a martial artist began to grow. In the methodical manner of an emerging professional pugilist, Cheung Lai Chuen fought both successively and successfully to establish himself as The Champion of Seven Counties (七省拳王美譽). At the height of his martial career, Cheung operated 18 schools in Guangdong Province either under his own Pak Mei Paai banner or in conjunction with Dragon Style founder Master Lam Yiu Gwai. Master Cheung's martial standing afforded him many opportunities to socially network and broadened his sphere of instruction. This led to civilian instructor positions in the prestigious Whampoa Military Academy (黃埔軍校) and Yin Tong (燕堂) Law Enforcement Institution. In 1949, following the Communist control of mainland China under Mao Zedong (毛澤東), Cheung Lai Chuen relocated to Hong Kong with his three sons: Bing Sam (張炳森), Bing Lam (張炳霖), and Bing Faat (張炳發). His fourth son, Bing Yeung (炳樣) remained on the mainland with his wife. 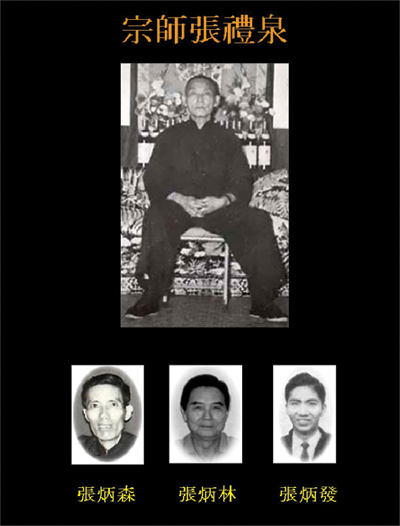 As the master settled into semi-retirement, his three sons and a few of his dedicated disciples were primarily responsible for the instruction of Pak Mei Kung Fu in Hong Kong. During this period, newcomers to the system were typically taught by the master's sons or disciples until the student showed promise and progress enough to receive an invitation from Master Cheung to become refined in the martial system under his personal supervision. In 1964, Master Cheung Lai Chuen passed away from a deteriorated state of health. As a testament to the quality of Cheung Lai Chuen's martial ingenuity, Pak Mei Paai has continued to flourish into the 21st Century.